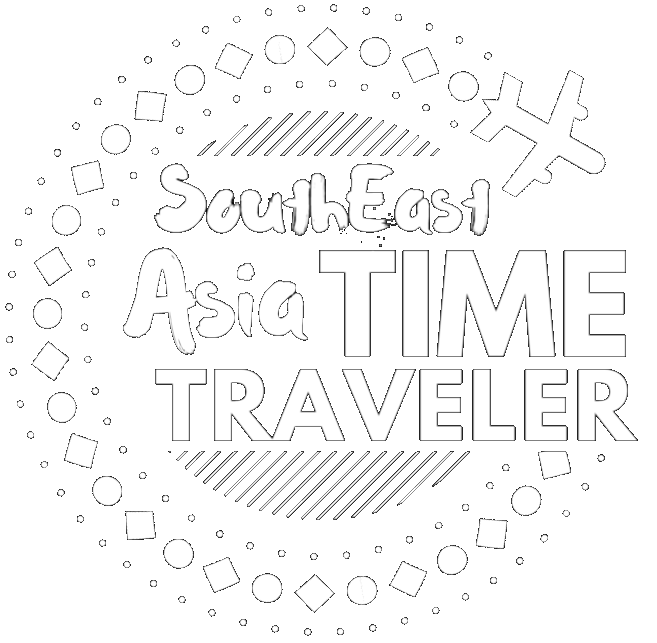 The Indonesia tourist in a hurry often just books a hotel in Yogyakarta, then makes a special trip out to see the temple of Borobudur before hightailing it back to the city. They’re completely missing out on experiencing the rest of Magelang, which can be pretty rewarding if you can set aside a little more time to check the area out! 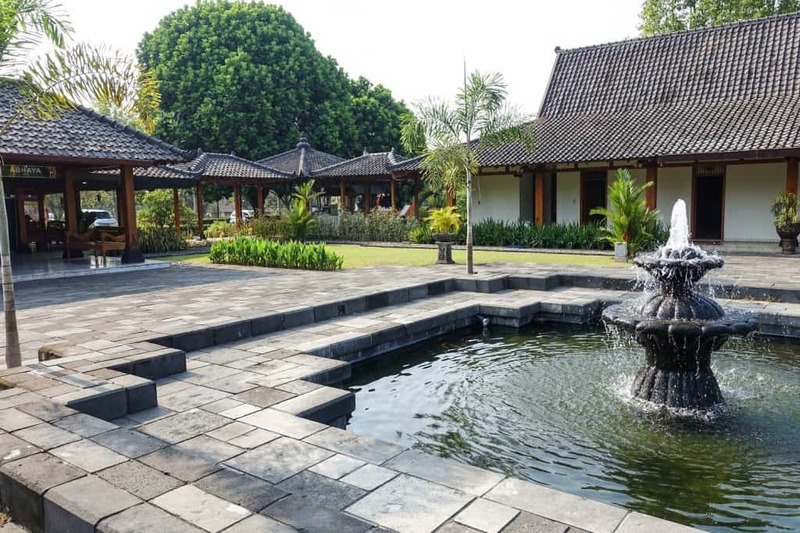 We’ve listed three properties you can choose from, the furthest lying only thirty minutes away from the 9th century mandala everybody comes to Magelang to see. Each is the “best” in its own way – best in creature comforts, best in value, and best in proximity to Borobudur respectively. Choose the hotel that most precisely fits your needs. For other accommodation options near Borobudur, compare rates on Magelang hotels via TripAdvisor. The round mandala-inspired design of Amanjiwo’s main building – the first sight of the resort you see as you descend down the narrow driveway through a gap in the hills – recapitulates the shape of Borobudur, easily visible from a mere 1.5 miles north of the property. The main building contains a library, art gallery, and a beautiful pillared open-air restaurant (pictured here) facing its inspiration in the north. Guests enjoy a delightful immersion into Javanese culture under the building’s circular roof, from gamelan and Javanese dance at the lobby, to traditional art in the gallery, to lectures on Borobudur’s history at the library. The 36 rooms and villas on the property range from garden suites to the expansive two-bedroom Dalem Jiwo Suite with its own 15-meter swimming pool. 15 of the villas have their own swimming pools, but the main 40-meter swimming pool suffices. The rooms combine local materials with Western ideals of luxury, with limestone cladding, high ceilings, batik fabric finishes and glass paintings. The villas radiate away and down from the main building, forming two semi-circular rows on an incline. The outer villas abut scenic rice paddies, while the inner villas (particularly the ones closer to the central path) get better views of Borobudur in the distance. 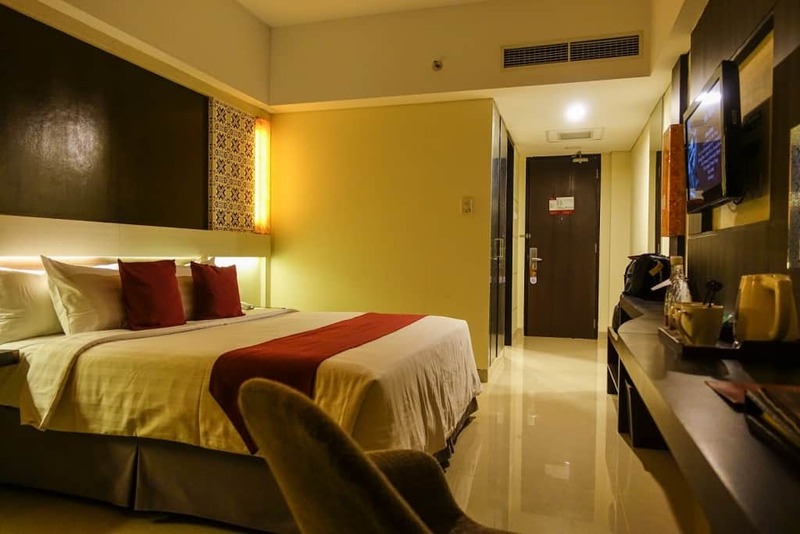 The Atria is a four-star hotel in downtown Magelang that offers a pleasant balance between cost and creature comforts. Atria guests trade a bit of distance from Borobudur (a thirty-minute drive away, no biggie) for more of the usual hotel amenities that avid travelers have come to expect. The Atria’s 144 rooms and suites come in three classes: two 50-sqm suites, 28-sqm deluxe rooms and 24-sqm superior rooms. Free WiFi is available all around the property, and the rooms themselves are comfortably furnished for their size (the superior rooms have relatively small windows, but provide ample light in the daytime). 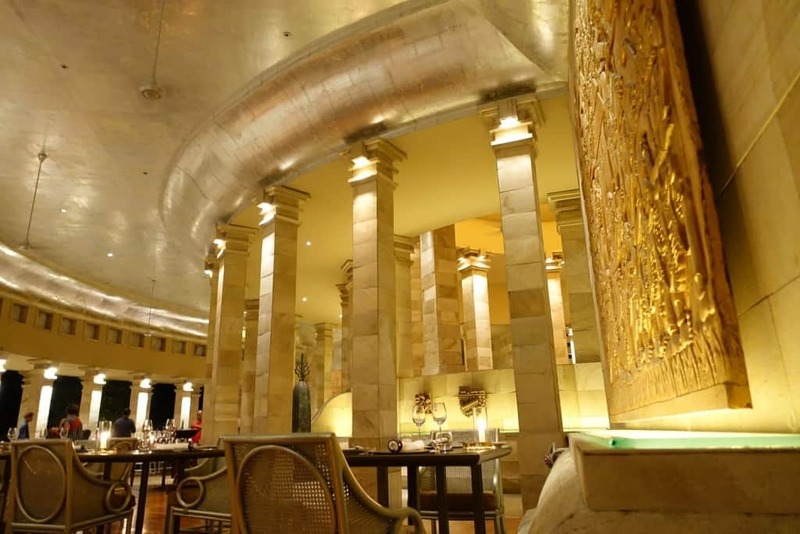 The swimming pool on the roofdeck is a pleasant escape from the Magelang heat (or a great way to cool off after a visit to Borobudur), but the culinary catalog over at the lobby-level Pamiluto Restaurant is the Atria’s best deal yet. The breakfast buffet serves up an amazing assortment of traditional Javanese, Chinese and Western dishes that, speaking from personal experience, will leave you wondering where to start first! Just off the check-in counter, the hotel shop’s Bateeq batik store gives you a chance to buy good-quality local batik without venturing into the markets; sadly, these are fixed-price, so you’ll have to haggle for your batiks someplace else. The Manohara Hotel has carved out a niche for itself as the jumping-off point for a popular sunrise tour of Borobudur. It’s perfectly placed for the job, situated right next to Borobudur itself! The sunrise tour begins at 4:30, when registered participants get a flashlight and an identifying sticker. The guests then trudge through the special Manohara-only entrance up to the top of Borobudur, their way lit only by the flashlights provided. After sunrise, participants then trudge back down to Manohara to enjoy breakfast in a Javanese pendopo (pavilion), serenaded by a gamelan ensemble. Guests of the Manohara enjoy a special discounted price for the sunrise tour, paying only IDR 250,000 ($18.50) as opposed to foreign non-guests who pay IDR 400,000 (about $30). 35 rooms on the property are laid out in individual one-storey buildings; the low rise of the buildings allows the complex to complement (not compete) with its more famous neighbor. The accommodation standards themselves are modest: the Borobudur location is the whole point of the stay. 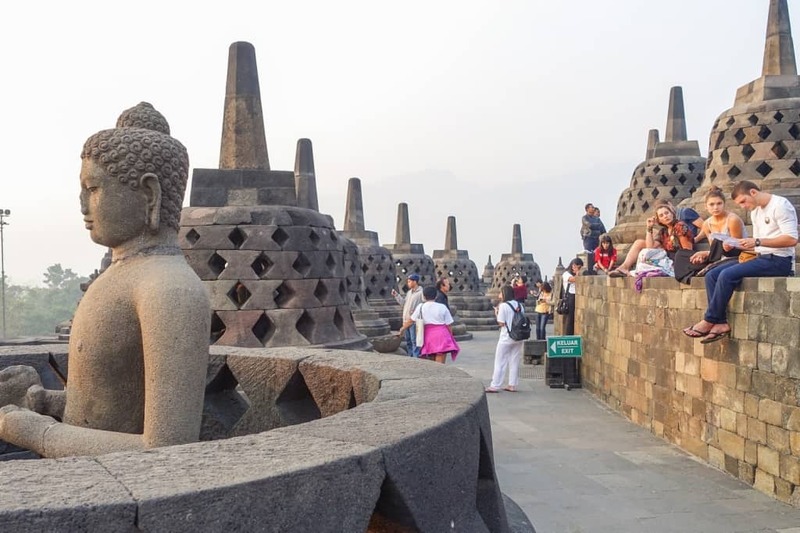 The draw of the Manohara lies outside the property – tourists who’ve seen and done Borobudur can take advantage of the availability of bike tours of nearby villages.